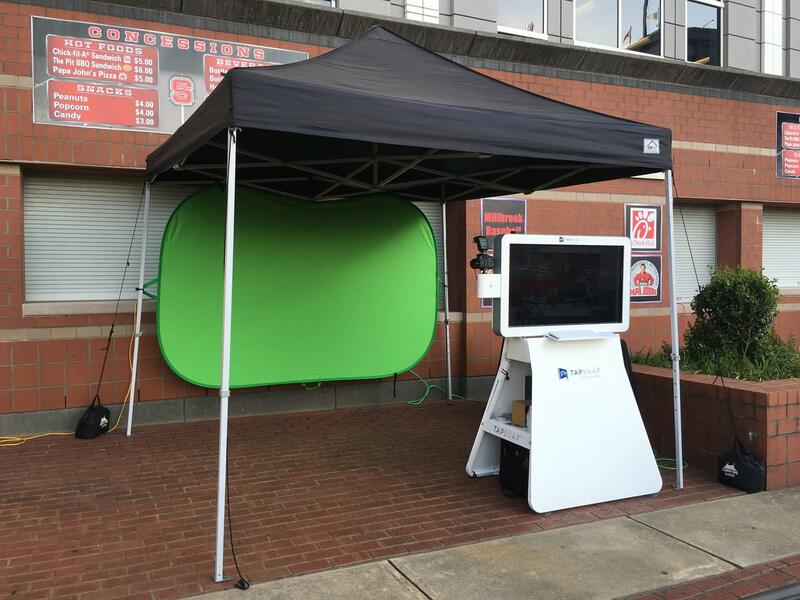 TapSnap is a digital Photobooth company that allows people to take pictures, insert digital props, change backgrounds with a green screen and instantly post the images to a designated Facebook album and Twitter page (including two twitter #'s). Guests are also able to email the pictures to themselves, and TapSnap also offers the service of adding a custom logo or border to each picture for additional branding. Twelve hours after the event they also offer the option of sending a custom follow up email to whoever has used the TapSnap at the event which, for example, would give you a opportunity to thank them for attending or inform them of future events. Once the pictures are taken TapSnap also will print out unlimited 4"x 6" copies for the guests so that they will have a memento to take home with them. All of that being said, this service is based on not only providing entertainment for event goers but also as a means for you to further spread awareness and extend the reach of the event itself.